-Soft Enamel VS Hard Enamel! What is the difference? 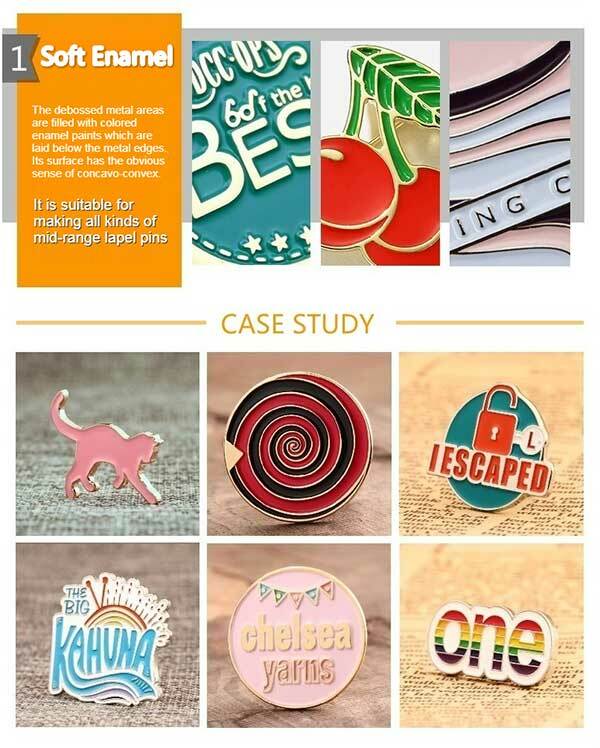 When you are interested in designing the Custom Lapel Pins, you may be confused about what’s the difference between soft enamel and hard enamel pins (the two most popular styles). Follow me to get a quick understanding through this part, just judging from the surface. The simple answer is soft enamel has raised metal lines & recessed enamel, textured and non-smooth surface. While the answer for hard enamel is a polished-flat of metal and enamel, non-textured and smooth surface. Please refer to the below comparison pictures to better understand the above. If you happen to have these two type pins at hand, try to compare and observe them from the front-view, the side-view, and feeling the difference of the surface with your fingers. I believe that your confusion is basically relieved when you read here. If you want to further understand their differences from other aspects, please read on. Although its name says otherwise, soft enamel lapel pins are not soft to the touch. Soft enamel pins is a kind of the lapel pins, it is also called die struck pins. On the basis of stamped metal or die struck metal, it can be electroplated with various metal colors, bright gold, bright silver, etc. The debossed metal areas between metal edges are filled with various colored enamel paints which are laid below the metal edges. Each color is surrounded by metal edges. Its surface has the obvious sense of concavo-convex. You can feel the obvious roughness with your fingers. Its dimensional look is what makes so many people drawn to it. Hard enamel pins are also a kind of the lapel pins, it is also called imitation cloisonne pin. It is equivalent to the upgraded version of soft enamel. The entire inside of debossed metal areas is filled with various colored enamel paints to the same even level of the metal edges. And the surface is repeatedly polished. Its surface has no obvious sense of concavo-convex, and we can feel a slightly bumpy feeling while it has a similar texture to ceramics. The smooth surface makes it look more exquisite. The great looking product with medium quality and the charming texture is highly cost-effective and can be used for a versatile selection of shapes and sizes. It is suitable for making all kinds of mid-range lapel pins. The second most popular with high quality belongs to the top grade lapel pins. The smooth and exquisite surface gives people a luxurious feeling. The price is a little bit higher than soft enamel. It is applicable to be the company lapel pins and commemorative lapel pins. Both use the same metal mold and will have vivid colors. The mold of soft enamel can only use for producing soft enamel pins, while the mold of hard enamel is not only able to use for the hard enamel process but also for the soft enamel process. At the same time, let’s review the detailed different manufacturing process. 3.2.1 Soft Enamel Pins is concave-convex, a metal line or a metal surface is raised. 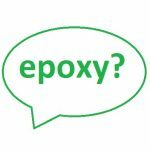 Notice: We can add a transparent epoxy resin coating to the surface of soft enamel pins to protect the surface and give the effect that the soft enamel is smooth(lose the sense of concave and convex). Distinguish Skill: Because of the refraction of light, the surface with an added epoxy resin coating will be bright with a sense of reflection. But the “flat one” is not the hard enamel one. 3.2.2. Hard Enamel Pins is filled with enamel paints to be a flush and even level with the metal edges and polished to a smooth-to-the-touch surface. Hard Enamel Pins are more durable than Soft Enamel Pins. 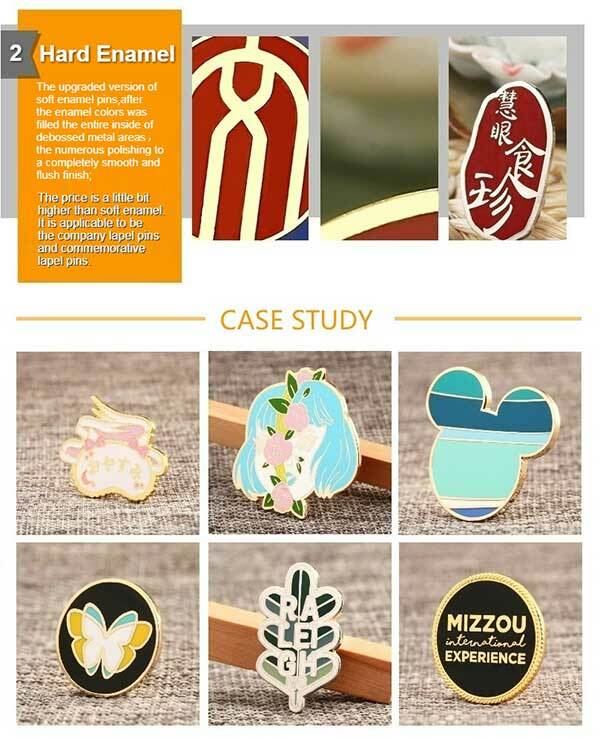 Hard Enamel Pins is preferred by those people who want the more durable lapel pins. Hard enamel lapel pins have super high quality and resistant from scratching. 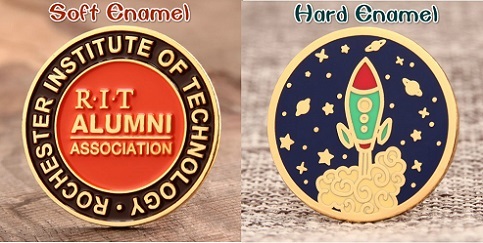 In terms of drafting and design, the enamel pin manufacturer does the same colors, details and visual effects on either. The difference is how the end products feel and how shadowing or reflection alters the appearance of the end products. You can choose one or the other based on aesthetic preference as some craftworks better than others with either manufacturing process. At GS-JJ.com, we offer both soft and hard custom enamel pins for the lowest factory price. Ultimately, the custom pins come down to your personal preference. You could pick the appearance and process that work best for your design. If you are still unsure, contact us and let us know. GS-JJ is able to help you to pick out the most suitable one and the best looking one for your design. Want to know more, welcome to visit our website, or email info@@gs-jj.com or call 1-888-864-4755 toll-free. 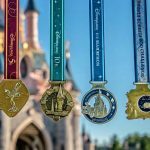 If you need some more information, please check out our guide to creating your own custom pins.